Our marker rounds boast the most reliable ballistics and accuracy. Force on Force™ is the only choice for true tactical realism! 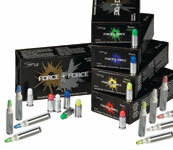 Find an authorized Force on Force seller near you.